Q: I have badly sun-damaged skin with dark brown spots and wrinkles. I absolutely don't want to undergo surgery such as a facelift. What procedures can I have done without doing surgery to improve my skin? I live in NYC and heard about Ultherapy. A: Fraxel Dual laser resurfacing can help improve the coloration along with the use of topical products such as Revale, TNS Essential Serum, Elure, prescription Retin-A or other vitamin A creams, and non-invasive Ultherapy. Ulthera is a device which is an intense focused deep ultrasound energy that is absorbed as heat and stimulates the body to produce more collagen. Ultherapy is FDA cleared for lifting without surgery. 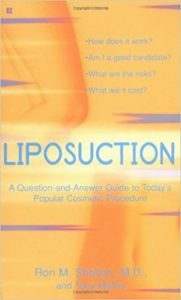 Q: Will I get any fat loss from Ulthera in NYC? I have a fat neck, can this improve? A: There is no evidence yet that Ulthera can produce fat loss, although this is being studied now. It should not improve your neck from reduction of fat, but may tighten and lift it to some degree. Q: Can Ulthera help my lower eyelid bags in NYC? A: Sometimes Ultherapy decreases the bulging of the lower eyelids. It doesn't always help. Festoons of water retention and herniated fat pads usually don't improve. Sagging skin might tighten with the non-invasive energy of focused ultrasound such as Ulthera. Q: I have to go to a friend's wedding one day after my Ulthera is scheduled in NYC. Is this OK? A: It is very rare to get a bruise with Ultherapy. There usually is no down time one day after the procedure, but there can be swelling, especially when the forehead is treated, that settles down near the lower eyelids and this puffiness might concern you socially for a few days. However, it is fine for you to socialize. Q: I had a facelift about five years ago in NYC and am happy with the results but I want some refreshing treatment without surgery. Can I have Ultherapy if I had a lift before? A: Yes. Especially five years later, you may benefit by the collagen production that will occur as result of the Ulthera. The Ulthera will not give as much a lift as surgery, but when patients are not ready to undergo surgery or have a secondary surgical procedure, Ultherapy is a good and safe alternative. Q: If I am 25 years old, will I get benefit from NYC Ultherapy on the forehead? A: If there is laxity, then regardless of age, you may get improvement, although the chance of seeing improvement is greater in younger than older patients because of their healthy skin. Q: Might there be improvement in my skin on my belly from my pregnancy. I lost my weight but there are stretchmarks and sagging. Can Ultherapy help? A: Fraxel Restore laser treatment might help slightly. Ultherapy is not FDA-cleared for off facial areas, but it might stimulate collagen enough and tighten the skin slightly to improve poor texture. One shouldn't be overly optimistic as the results probably would be minimal. More studies are being done before we could recommend such treatment in general. Q: I scheduled Ultherapy at my doctor's office only to find his nurse does the treatment. Should I cancel? A: In many doctors' offices, physician extenders such as licensed nurses and physican assistants (P.A.s) do the ultherapy treatment. As long as they have been trained well, and are supervised, and that it is allowed in the state of that practice for a nurse or PA to do it, it might be fine. In fact, some doctors have had very little training in the procedure and their nurse or PA does it extremely well and have done hundreds or more. The company doesn't allow a physician to commence treating their patients without supervision until they have had adequate training. Who trains the doctors, including myself, experienced nurses from the company that they hire and train! My educator is an extremely knowledgeable nurse who has done a very high number of Ultherapy treatments. I have her come back to give me further teaching insights as she is in so many doctors' offices that she learns from them too, and then I can learn from many different experts at the same time, through her training. So if a nurse or PA does the treatment in a doctor's office, and you trust the doctor, and they say that their staff member is an expert at doing Ultherapy, you should continue to trust their recommendations. Q: Is there a charge for a second Ultherapy treatment? A: Yes. There is expected continued improvement from Ulthera for six months, or more after one treatment. Should you choose to have even more improvement, or if you did not have enough improvement and your doctor feels that you are still a good candidate, then further treatment can be rendered at an additional fee. There is no guarantee of any result, nor can the amount of tightening be quantified in advance. Every patient is different in terms of their unique skin's characteristics, such as sun damage, age, smoking history, loss of elasticity and collagen, inability to produce new collagen well, etc. If your doctor does not consider you a candidate for Ulthera during the consultation then you will be told not to waste your money with a procedure that is not expected to give you a good result. However, if you are deemed to be a good candidate, then the fee of the procedure, which helps pay for the costs of the equipment and the doctor's time, is non-refundable. A second treatment, six or more months after the first, would also generate these costs so a fee would be charged to the patient. Q: Can Ultherapy reduce my fat neck? A: Ultherapy did not submit an application to the FDA for clearance of its device to induce fat atrophy. I am not aware that ultherapy has been associated with a higher level of fat atrophy than placebo. The Ulthera company is investigating this currently. Q: I am a Latin American with somewhat dark skin. Will I ruin my coloration by having Ultherapy? A: Ulthera is indicated for patients of skin of color as the ultrasound energy does not target the epidermal melanin. It heats up the deeper collagen to induce tightening and collagen production but doesn't injure the epidermal melaoncytes. There are risks with any treatment such as lasers and ultrasound, including thermal burns and post inflammatory hyperpigmentation but this is rare with Ultherapy. 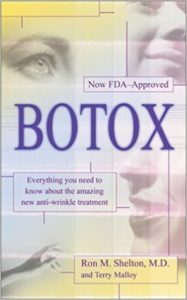 Q: Why would my doctor want to inject Botox to my glabella of the forehead in addition to doing Ultherapy for my forehead? 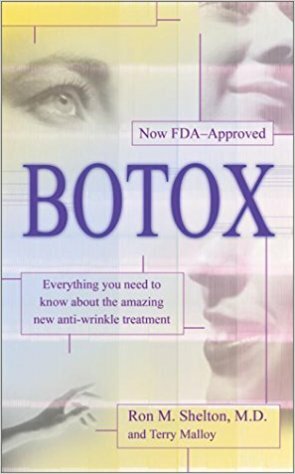 A: Botox and Ultheapy can act synergistically to have the Botox relax the strong muscles that are pulling down while the Ultherapy helps lift the tissues. Dr. Ron Shelton, formerly having practiced on the Upper East Side of Manhattan, NYC, is now located in Midtown Manhattan. Call (212) 593-1818 to schedule your anti-aging treatment today.